GUELPH — The upcoming Guelph Organic Conference & Expo began as a modest half-day seminar in the early 1980s, put on by some University of Guelph grad students. This year’s four-day event Jan. 29 through Feb. 1 at the University Centre is expected to attract 1,800 attendees from across Canada and parts of the U.S. They will take in a host of workshops, seminars and an organic conference dinner, another highlight. It also features a two-day trade expo, Jan. 31 and Feb. 1, with 157 information and food sampling tables. While the expo is free, there are various admission fees to attend conference workshops and seminars. Details are at www.guelphorganicconf.ca. The theme this year is Organic By Design, with both food basics and innovation integral to a growing movement that eschews synthetic pesticides and chemical fertilizers, and focuses on cycling of resources, ecological balance and biodiversity. The theme invites participants in part to explore the various aspects prominent in organic farming today, like livestock husbandry and handling, and crop marketing based on soil health. “The organic grower works with nature,” conference manager Tomás Nimmo said Monday. The 34th annual conference put on by his non-profit organization takes on a broad variety of topics, including urban agriculture, bees and other pollinators, food sovereignty and innovation diversifying crop flavours. The busiest day, Saturday, features five major organic farming themes with four workshops each. The event boasts an introductory component to organic farming and its products, intended for people unfamiliar with organic growing and wanting to learn more. That includes some of the workshops. 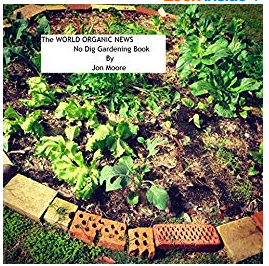 Nimmo, who spoke at the inaugural conference, said the domestic organic farming sector is larger than many people realize, though organic sections in supermarkets are expanding. But industry proponents want to seed further growth.